WHAT MAKES HUE CRAZY FACEPAINTING DIFFERENT? We are here to be apart of the most fun & memorable experience for your next party or event! Let our face painter’s work along side of you to create the life long memories that children & adults alike are searching! 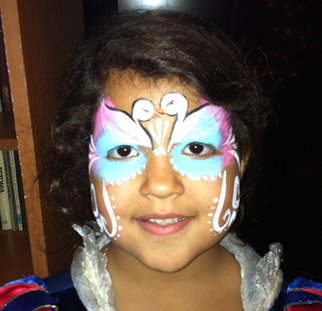 Our face painters have a variety of designs that are sure to please any crowd of any age! Face Painting is not only an artistic expression, it’s also one of the best forms of entertainment! Contact Us Today! Let Hue Crazy Face Painting Make Your Party Memorable! We take pride in the truly memorable experiences we create for any event. Getting ready for a Costume party or simply having fun we have you covered. Dannae' has been face painting for 8 years. Starting out as a preschool teacher.